In the UK fruit machines were a big hit for many years, and today you’ll still find many of the golden oldies in bars, pubs and in the seaside towns of Britain. Fruit machines are very similar to classic slots. They have 3 barrels and for the most part only 1 pay-line; although, variations of design have meant that modern day version have 5 reels and/or more pay-lines to wager. So, does the fruit machine still have a future? Melons, Cherries, Oranges, Purple grapes and lemons made up for the majority of the fruit symbols found on the UK style slots. 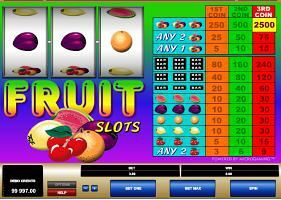 The Liberty Bell, Lucky 7s and Bars are also popular fruit machine symbols and still in use on today’s modern designs both on live fruities and online fruities. 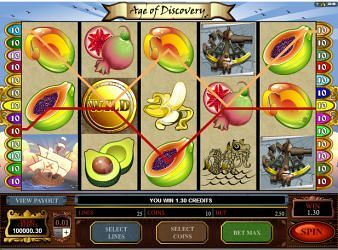 In most online casinos today the 5 reel video slot is king, but the fruit machine still has its fair share of the market. Fruit machines will always be popular because they have been designed to be so interactive. For example, nudge features, holds and bonus games, which you’ll read more about below. In the 1980s through to the early millennium most fruit machines had just one pay line running across the middle position on all 3 reels. There were also only 3 positions per reel from top to bottom. As slot online started to develop, the pub and club machines were advancing too. Fruit machine engineers designed chips able to fit in 3 pay-lines across the reels, then 9-pay-lines adding lines going diagonally across the reels. Some fruit machines in the UK now have 5 reels and 20 pay lines to play. Each pay line is a separate bet and you can spread your money across all pay-lines or just 1 pay line depending on how flush you feel. On fruities the famous nudge is awarded mostly at random. You will either be awarded 1 to 4 nudges automatically, or you will have to use a skill stop to decide your fate. Another one the fruity player’s favourite in game tools is of course the aforementioned skill stop. It’s a simple feature that is used in more than one are of the game. For example, you may be awarded nudges, but the lights behind the number are moving up and down the number waiting for you to stop the moving light on the highest number of nudges as possible. In other situations, you’ll be given a feature win and the lights will flash across the lowest to the highest paying symbol combination beckoning you to stop the light on the highest possible win. Plus, as if that wasn’t already enough, skill stops are also seen in many of the feature games on fruit machines. Another one of the fruit machines greatest ever assets. Fruit machines are loved because they are so interactive. Holds are something you don’t often see on modern day 5 reel slots. However, the fruity has always held true to this feature. When the reels stop spinning, the buttons in front of them might start flashing. This means you can freeze any of the reels and spin the other reels hoping your skilful hold will connect with other symbols for a payout. A common bonus feature with holds is when 2 identical symbols land next to each other and the hold feature comes up. You press to hold both symbols and the famous ‘Let Em Spin’ appears guaranteeing that you will hit a winning combination. Many players love this feature because it usually spins in a low win, which enough to gamble or automatically get into the bonus round in search of a better cash payout. One of the most awesome features a fruity can have. After every win you can gamble on the high/low feature to try and improve you win to the next level in the pay table. Dice in a display area somewhere on fruity will roll, or a spinner with the number 1 to 12 will spin and stop on a number. To win, you simply choose whether the next roll is going to be higher or lower than the number displayed. Most people will gamble to try and get themselves to high enough level so they can gamble their winnings by using them to enter the featured bonus game. A noticeable feature that came with every fruit machine was the LED bonus board. 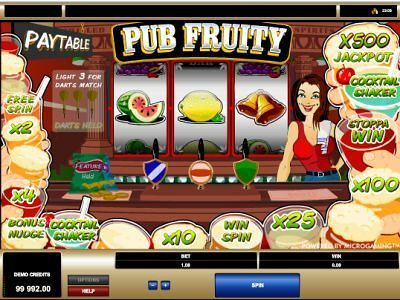 This is more computerised on some fruit machines today, but in general, the look and feel of the original fruity has still be maintained, just moderately upgraded. Memories of Indian Jones and the Holy Grail come up regularly when the subject of fruit machines comes to the table. In this game the feature games was a trail map dodging the Germans, entering snake pits and ancient tombs with Mummies at rest. Each step was decided by the number rolled to move to the next space dodging all kinds of traps. If you got to the end, you would hit the jackpot payout. There are so many themes on fruit machines such as snakes and ladders, Indiana Jones, Top Gun, Dracula and so on. Some themes use a board game, other use a trail map, while other have stepping stones, or journeys across the oceans. 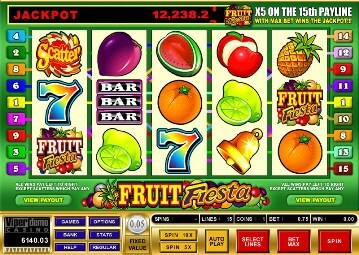 Fruit machines are just as flexible as any other slot out there, and arguably fruities are the most interactive slots to play because of their high count in features. This is a little like a progressive jackpot because it builds up as players put more cash into the machine. On most fruities the cash pot is like a side jackpot. Players can land on it during the bonus games, or a random number of symbols can combine to release the cash pot. In fact there are usually a number of tricks that can be learned. Once you know all the little quirks that give you an added advantage. One of those added advantages is usually learning how to break down the cash pot using a skill acquired from regular play on the machine. In general, the fruit machine jackpot is just like any other. It has a symbol combination that will spin in a jackpot, and usually it can also be won by winning on a bonus game. Notoriously, fruit machine jackpots are well known for paying not just once, but two, three and even four times. Usually repeat features giveaway extra jackpot bonuses, or another famous feature is when you land the jackpot combination and then it makes a repeat spin. The repeat spins can be several, and they will all lock in on the jackpot combination win until it randomly stops spinning in jackpot wins, while you count your profits. A flashing yes/no will determine whether the fruity is feeling generous. With this feature you have to hit the button on the machine aiming to stop the flashing on yes. If you are successful, then your pay-out is repeated, and most of the time you’ll get continuous repeat chances until you hit no. Frit machines are often known for giving out a repeat jackpot payout through the repeat feature. It’s a feature that has been known to pay out the jackpot with 4 repeats successful on a very good day. Much of the time the bonus board is a randomly triggered feature. It usually comes with a set of cash wins, multipliers, nudges, random prize or a high/low gamble. Ideally, when you the light spins around the box, you will land on a cash win, unless of course the jackpot combination is just 2 nudges away, and so you would praying for nudges. If you hit a ?, then anything could happen, nudges, cash or you could just be thrown out of the game. Each time you progress on a fruit machine’s bonus game, you will be given the option to collect or continue. If you continue, you stand the risk of losing the cash you are being offered to collect. On the other hand, if you continue, the further you get, the bigger the cash prize is at the end. Probably the most well know term in the slot layers market – ‘It’s gonna pay’. It all seems like you are just hoping that if you see it, then by some blind piece of luck it happens – I mean more has been achieved with much thinner odds. It’s true though – for reason a fruit machine will start to become increasingly generous. Waves of big wins will come before the machine finally drops out a triple jackpot pay. The ‘It’s gonna pay’ theory has always been one of the big attractions for the UK fruit machine. In the UK there a lot of private clubs where only those that have paid for membership can enter! Basically these clubs have cheaper beers and are generally free houses, which means management is not governed by a brewery and they get a profit form memberships, so they can relax on their prices. Of course, every one of these clubs has a fruit machine or two in the corner. These aren’t any old fruit machines either. When the fruities in these clubs show any sign of paying out, it causes quite a stir as a bustling crowd of fruity fanatics wait for anything up to a £250 jackpot drop out. The club fruit machines were bigger than the ones found in the high street fruit machine lounges, restaurants and pubs because they can have a club venue permit that allows payout of up to £250; while being outside the realms of this permit, the maximum jackpot was set at £25. This made the club based fruit machines very popular. They had huge jackpots and 5 barrels plus 3 pay-lines. Obviously, nowadays, all these factors have increased with modern machines allowed to pay out higher jackpots in both pubs and bars, and they have anything up to 25 lines to bet. Quite simply, fruit machines will never leave the British pub and club scene. The new style or US style 5 reel slots with graphical bonus games and scatter symbols bringing in electrifying free spins and bonus rounds are of course very attractive. Nonetheless, the fruit machines still offers a more rich and user interactive experience. Fruities really bring the player into the game getting them to keep their wits about them as they try to negotiate a skill stop, hit a repeat win, stop the flashing light on the money and navigate through trial maps and climb ladders to big cash wins. On the contrary, modern day slots have more going in terms of more to watch, but mostly it is just the watching game unfold with much less interactivity. In short, even though the more modern day slots do have their awesome features and graphics, they do not come even close to the amount of interactivity a fruit machines has. Hence, the fruit machine is still a popular slots option.